One of the things I dislike putting on myself is sunscreen. Oily, white cast, stickiness, overwhelming scent.. Urgh! Then I think of skin cancer, wrinkles, freckles & aging skin. Oh no! Up to 90 % of the visible changes commonly attributed to aging are caused by the sun so you can actually prevent this 90% by using sunscreen! *You can read more skin cancer facts HERE. I was given a choice.. To suffer temporarily or live with the consequences of not doing so forever! 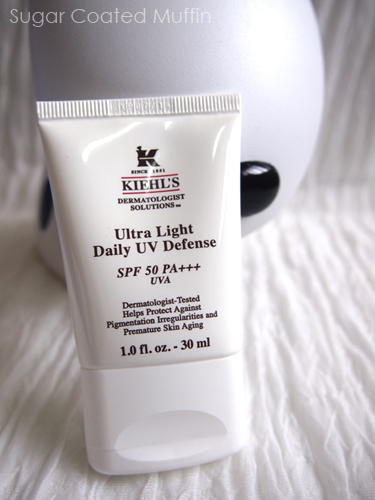 Then I discovered a solution : TheKiehl's Ultra Light Daily UV Defense SPF 50+++. It's the #1 customer favourite! 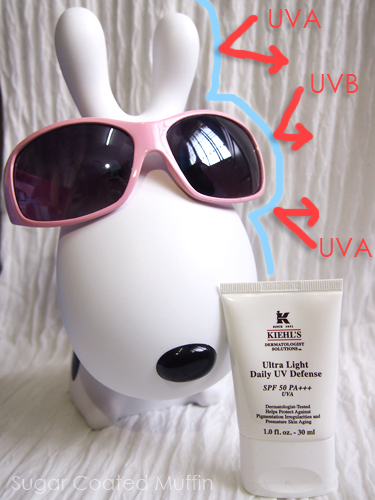 Protection from both UVA & UVB without the suffering. I guess I don't have to elaborate much on these..
UVB : Causes sunburn & skin pigmentation. Blocked by glass & clouds. UVA : Causes premature aging of skin (wrinkles, roughness, lack of elasticity, or hyperpigmentation spots). Penetrates glass and goes deep into your skin dermis. Standard packaging, I guess. 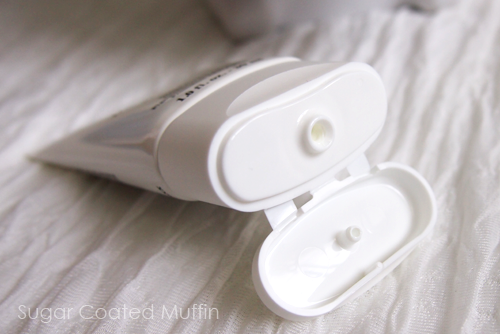 The tube itself is quite sturdy so it doesn't leak out even though it's easy to squeeze out. When using an appropriate amount, you can barely see it there. With just the sunblock on. No shine, stickiness or white cast. The smell in the tube was barely noticeable and once applied, I don't smell anything at all. 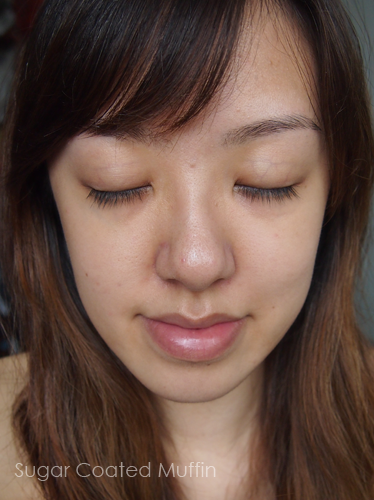 After a whole day, oil production was normal, my face just looked dewy and hydrated. This sunscreen is oil-free but it has no oil control. Ingredients : Aqua/Water, Ethylhexyl Methoxycinnamate, Glycerin, Cyclopentasiloxane, Propylene Glycol, Terephthalylidene Dicamphor Sulfonic Acid, Titanium Dioxide, Drometrizole Trisiloxane, Alcohol Denat, Triethanolamine, Stearic Acid, Potassium Cetyl Phosphate, Nylon-12, PEG-100 Stearate, Glyceryl Stearate, Cetyl Alcohol, Dimethicone, Phenoxyethanol, Aluminium Hydroxide, Methylparaben, Sodium Cocoyl Sarcosinate, Caprylyl Glycol, Carbomer, Tocopherol, Tromethamine, Ethylparaben, Acrylamide/Sodium Acryloyldimethyltaurate Copolymer, Isohexadecane, Xanthan Gum, Disodium EDTA, Polysorbate 80. My conclusion : Overall, I think it's a good sunscreen. 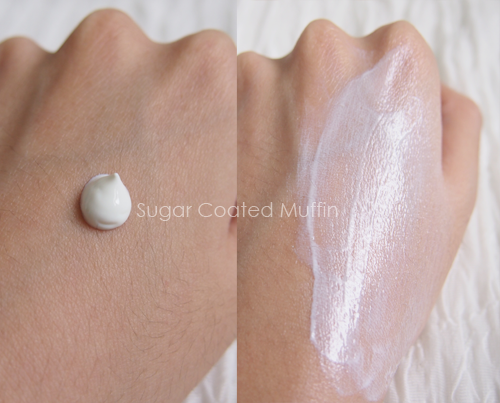 According to Kiehl's staff, this can be used as a makeup base as well since it offers sun protection & hydration. The price is a little steep for students but if you can afford it, it's a good choice. This is so nice!!! 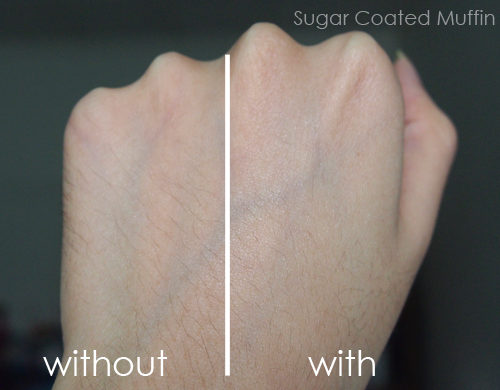 Your skin looks very matte! I wear sunscreen everyday. This looks like a nice light one. which one you like better? 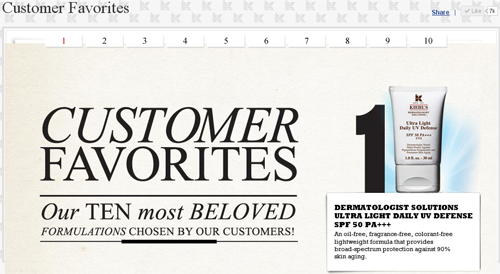 biore or kiehls sunscreen? Hot? You mean stuffy/thick layer/clog-my-pores kinda feeling? I get that with some sunblocks (and foundations) but this is alright, I guess. It's not super light & feathery but doesn't make me hate applying it. Unless you slap on wayy too much then of course it'll be uncomfortable.